Ushi is a Senior Grants Manager (job-share), taking the lead on our Access and Participation in the Arts work. Ushi was previously a Grants Manager working in the Foundation’s Arts programme. 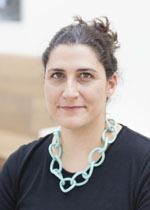 Before joining PHF in 2008 as a Grants Officer, Ushi had more than 17 years’ experience working in the art sector, including 10 years’ in the subsidised theatre sector in roles at the Traverse Theatre, National Theatre and Royal Court. Before joining PHF, she worked as General Manager for Paines Plough Theatre Company, supporting the development of new writing and producing work that toured the UK and internationally. Ushi has an M.A. in Philosophy from St. Andrews University.